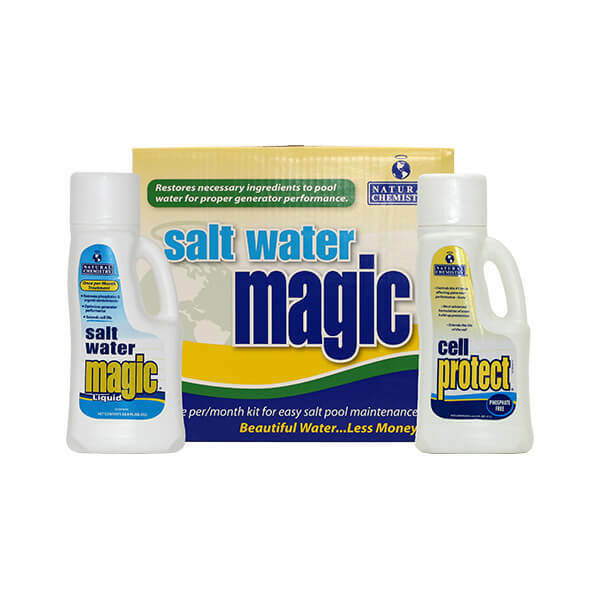 The Salt Water Magic Monthly Kit contains a combination of unique technologies that have been specifically formulated for chlorine generators. This easy to use monthly kit provides the perfect pool water environment to continually protect the cell from life shortening issues caused by scale. Natural Chemistry takes the guesswork out of salt water pool maintenance. This kit treats up to 20,000 gallons.